Anglesey, Llangeinwen War Memorial and Roll of Honour. 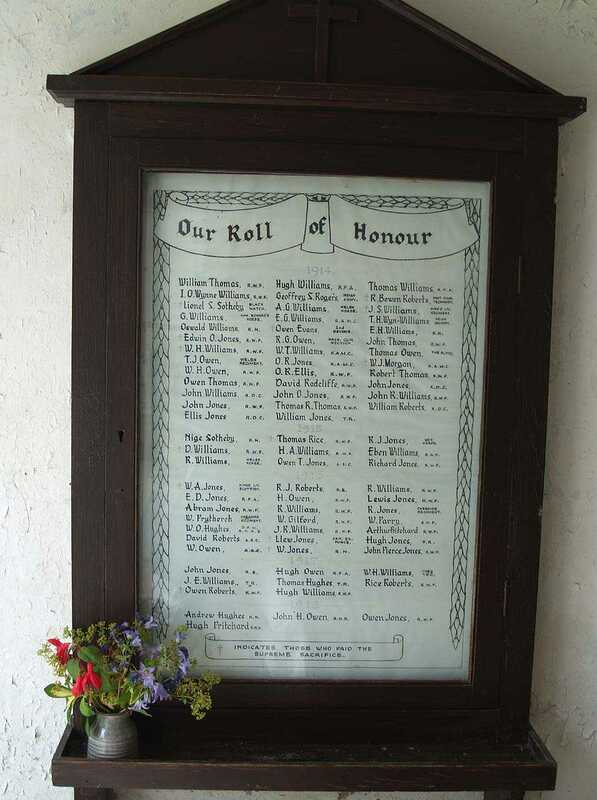 The Roll of Honour for Llangeinwen on Anglesey, North Wales, includes all those from the area that fought in the First World War whether they were killed or survived. The markings are very faint and so I have marked in red the ones who were killed in action, and included the year they were killed. 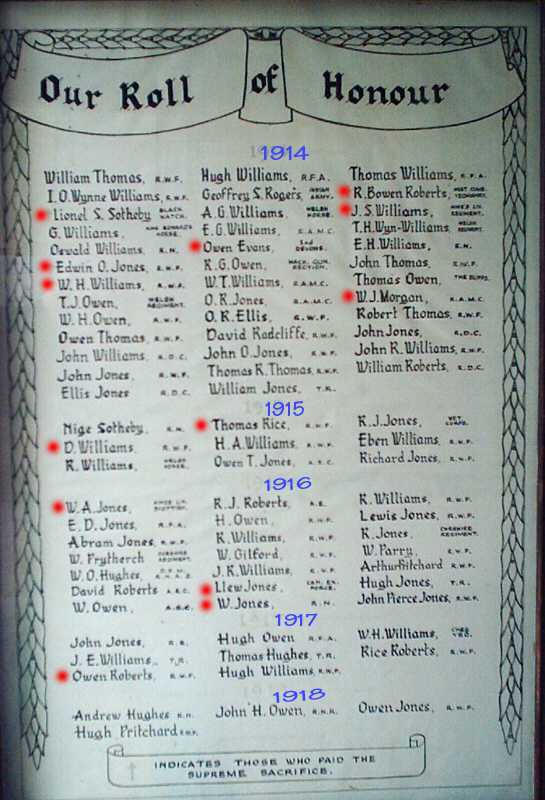 It is always interesting to have a roll of honour to know if anyone in your family fought in the Great War (WWI). The War Memorial is in the Church of Saint Ceinwen in the village.